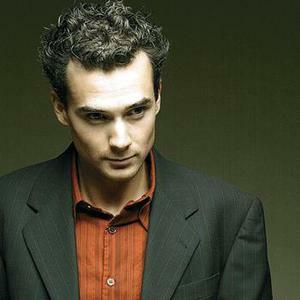 Born in 1977, Michael Kaeshammer is a boogie woogie pianist, vocalist, and arranger living in Toronto, Ontario, Canada. He also plays blues and jazz. His first album, Blue Keys, was produced in 1996. Michael is noted for creating elaborate arrangements. He also known for changing musical styles within a piece and making use of irregular time signatures and mixed meters. Michael is best known in western Canada, but has performed and toured extensively in the United States and Europe. One of his most popular songs is "On A Saturday Night" off the album No Strings Attached. Michael is noted for creating elaborate arrangements. He also known for changing musical styles within a piece and making use of irregular time signatures and mixed meters. Michael is best known in western Canada, but has performed and toured extensively in the United States and Europe. One of his most popular songs is "On A Saturday Night" off the album No Strings Attached. On 2011's KAESHAMMER (Alert Music/Universal), Michael Kaeshammer doesn't simply wow you with his chops; he invites you in and talks to you. Yes, he's a gifted singer and songwriter, a highly trained technician and interpreter and an incendiary piano player. But also, on stage and off, he's a consummate host. Recorded at Toronto's Drive Shed and Keen Studios in 2010 and produced by Ron Lopata (Jacksoul, Ron Sexsmith) KAESHAMMER plays like a love letter to life ? A set of original songs as playful as they are contagious. Literally, a feast for your ears that blends ingredients from Kaeshammer's vast store of jazz, soul, pop and R&B influences, served up fresh, piping hot, and with a huge helping of joy on the side. That joy is clear from the first note of KAESHAMMER, as is Kaeshammer's uncanny ability to take ?a bit of musical this' and ?a touch of musical that' and create a sound that is uniquely his own ? A singular brand of pop tinged jazz that owes as much to Billy Joel and Paul McCartney as to Professor Longhair and Albert Ammons on hook laden love songs like ?A Little Bit Of Love. But while Kaeshammer's fiery style incorporates elements of his early influences ? the New Orleans sound of Fats Waller, Art Tatum and James Booker ? on tracks like ?Kisses In Zanzibar' and the high-energy, boogie fuelled romp, ?Rendezvous', he also takes his cue from one of his own all-time favourite records, Robert Palmer's Sneakin' Sally Through the Alley, recorded in New Orleans with influential local funk outfit, The Meters, in 1974. In short, it's the musical equivalent of Gumbo. Similarly, at his shows, the joy is in the sharing, the process of getting where you're going, not just the end result. As the Montreal Gazette's Bernard Perusse says: ?He's a showman. And showmanship is what makes people talk? If you haven't seen him live, you haven't really experienced him in his true element.? ?Technically Brilliant and a spectacle?? says Calgary blogger, Tim Tamashiro. ?Like taking a Ferrari for a drive through winding mountain highways and then going for a gourmet meal. It excites all of your senses.? Like the dinners he whips up for friends in his East Toronto loft, Kaeshammer's shows are prepared with your full participation, and never from a set menu. They're a party, constantly evolving and likely to explode in a wild flurry of joy that's as undeniable as it is contagious at any second. While no two shows are exactly alike, here's a breakdown of how a typical night with Kaeshammer might play out? When Michael steps on stage he'll greet you warmly, as an honoured guest. He'll play a song like ?Rendezvous'. A comfortable start, to showcase his fiery piano chops and make you feel at home ? The equivalent of taking your coat and hat and showing you around the place. You'll settle in and he'll introduce you around ? First to his longtime rhythm section, drummer Mark McLean and bassist Marc Rogers, and then to his horn section who'll then rip it up with him on a tune dictated as much by his mood as by what direction he believes you and his other guests would like the party to head in. Getting there is more than half the fun. Just about the time you're getting curious about how this guy learned to do what he does so well, he'll tell you. Not just about himself, but about the musical family on stage with him, illustrating the fluid dialogue they share with a tune like their signature cover of Curtis Mayfield's ?People Get Ready', long a Kaeshammer staple live, only recently recorded for KAESHAMMER. Next you'll be invited to take a close up look at the raw ingredients of this musical feast ? treated to a ?cutting session' between McLean and Kaeshammer. They will dazzle and you will roar in approval. And they'll roar right back ? continuing with a set of songs drawn from Kaeshammer records past and present. From covers like Peter Tosh's ?Stop That Train', to the title track of 2009's Lovelight, to his latest work. Breaking it down with freshly recorded, pop-inspired tracks like ?The You and Me' and the classic R&B fuelled ?Heartbeat'. At this point, even though the party has been in full swing for some time you'll be having such a great time it'll feel like you've just arrived. And when the show comes to a close with you clapping along with the band on the grand finale, you'll still want more, and you'll get it. And when you get up to go, you will leave satisfied ? not stunned or worn out, but exhilarated. Kaeshammer's performances, on record and on stage, are an invitation to join the party. He doesn't play at you. He plays with you. At one of his shows, you're all in it together ? not only part of the story, but virtually part of the band. ?For me the performance is as much about the energy coming off the stage as the energy coming from the audience. It's about being myself, writing from the heart and showing my love for life. That's what I want to convey. After the show, people ask me, ?do you really have that much fun?' And I say ?you don't know the half of it. It's even more exhilarating than it looks'.? A night with Michael and his band isn't the kind of show where you just sit, watch and applaud politely every now and then. Their goal isn't to intimidate you with the scholarly depth of their music, it's to entertain, inform and include you ? A wild ride with no fixed destination except where he feels he and the crowd want to go. On stage and on record it's all about drawing the audience in. That's where the joy is, pure and simple. And while joy is something Michael Kaeshammer has never had difficulty expressing, on KAESHAMMER, his third record on Alert Music, the German born, Canadian bred pianist expresses it more enthusiastically than ever.